Based in Devon, the West Country Cheese Company does much more than just make standard wheels of cheese. 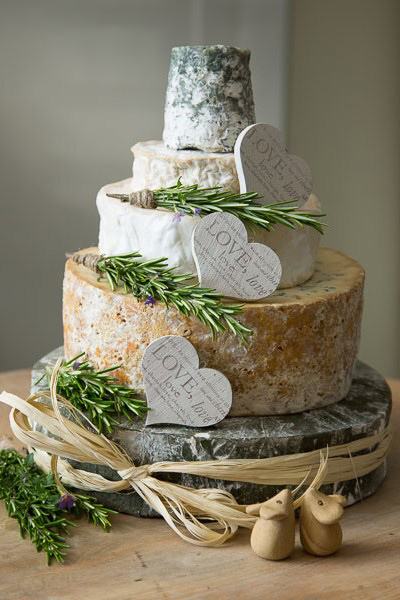 Using their superior range of cheeses, spanning everything from Cheddar to Cornish Yarg, they create beautiful centerpiece-worthy cheese wedding cakes, offering a tasty and elegant alternative to normal cakes. 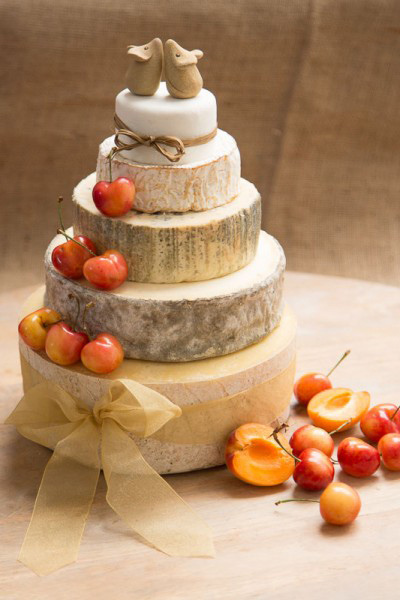 We won't let you down, we know that your Wedding day is the most important day of your life and we are here to help you with your cheese cake every step of the way. 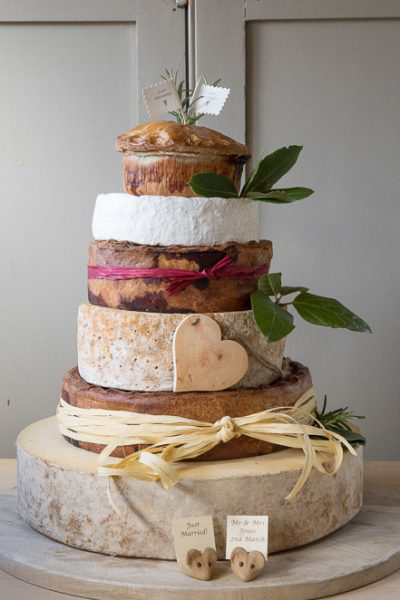 Expertly combining a number of different cheeses for multiple cake options, the West Country Cheese Company can provide cakes suitable for any number of guests and any budget. 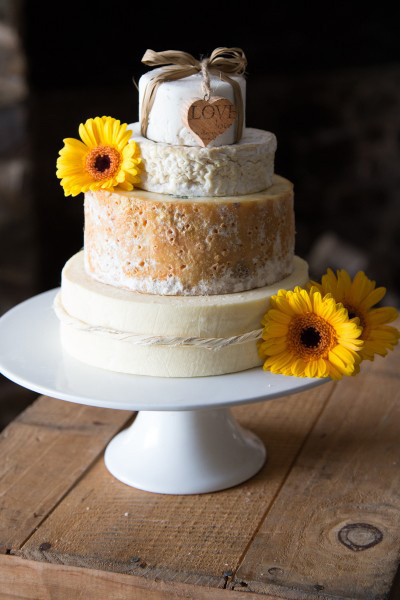 They are also able to ship nationwide, meaning your wedding location is no obstacle to being able to get your hands on your perfect cheese wedding cake. 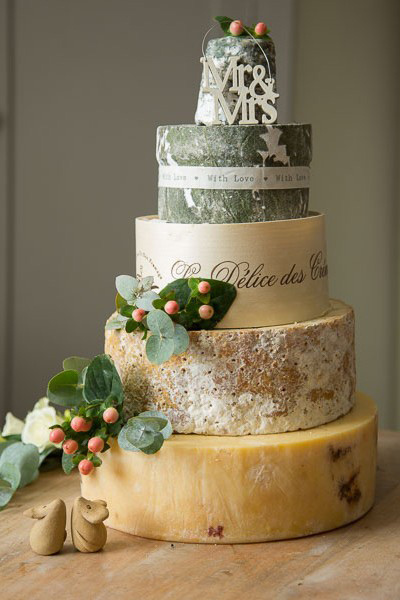 The West Country Cheese Company has been providing cheese wedding cakes for over a decade, giving them a wealth of experience and expertise. 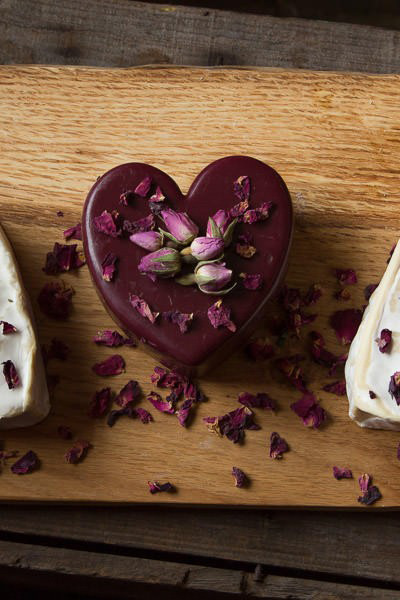 All of their cheese are handmade and delicious, and cover more traditional varieties such as Cheddar, right through to more unusual, unpasteurised European cheeses. 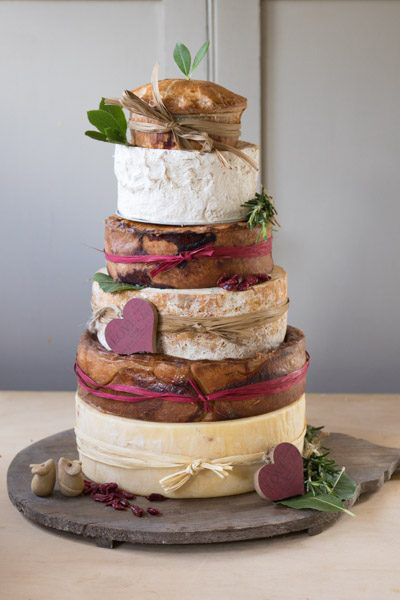 The West Country Cheese Company's cheese cakes can feed up to 200 guests and cost from just £57, depending on what type of cheeses you choose and how many guests you're looking to feed. Their website has a number of pre-prepared cakes available for purchase. These combinations have been expertly put together to ensure a wide range of flavours, so that all of your guests are satisfied. 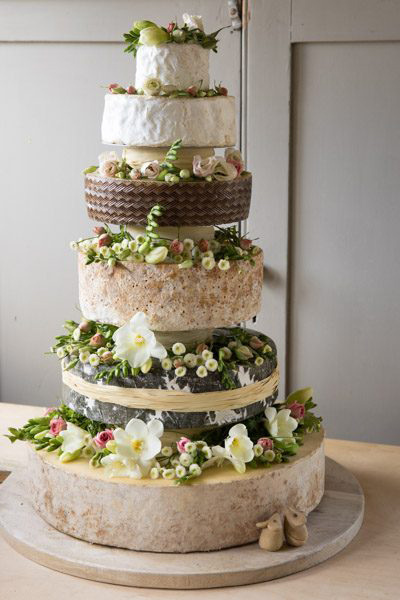 However, if you wish for any cheeses to be substituted, your wishes can be easily accommodated. 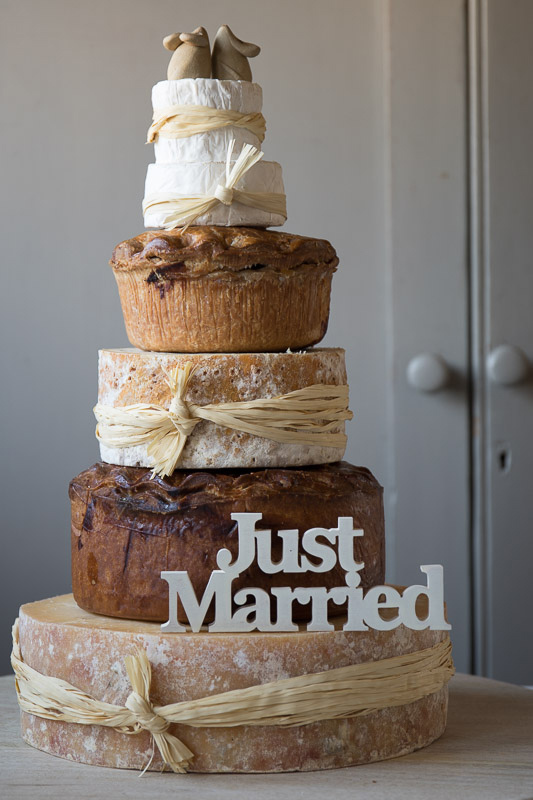 For couples looking to provide a more diverse combination, pork pie tiers can also be added. 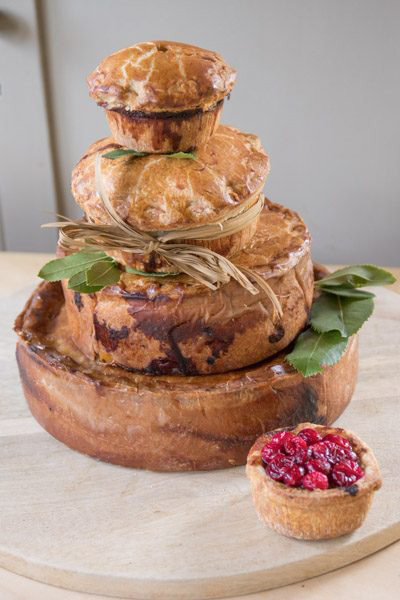 Or for real meat lovers, cakes comprised entirely of pork pies are also available. 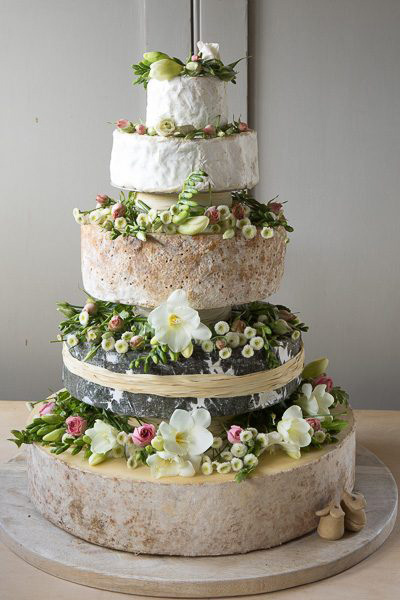 With a decade of experience in providing wedding cakes, you can be sure you're in safe hands when purchasing a cheese wedding cake through the West Country Cheese Company. 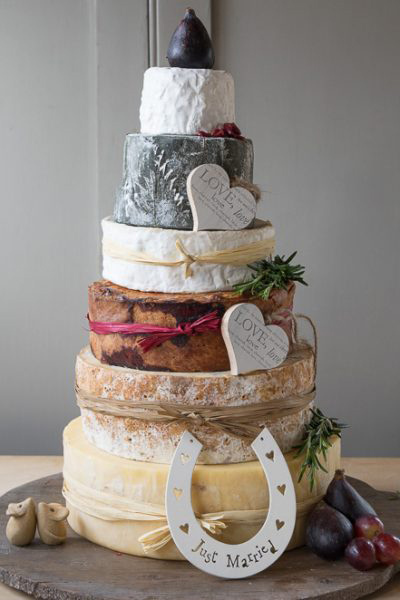 Before making your final decision on which cheeses to have in your cake, you can order a tasting box of your chosen cheeses from £32.99, and you'll be refunded £10 when you place your final cake order. 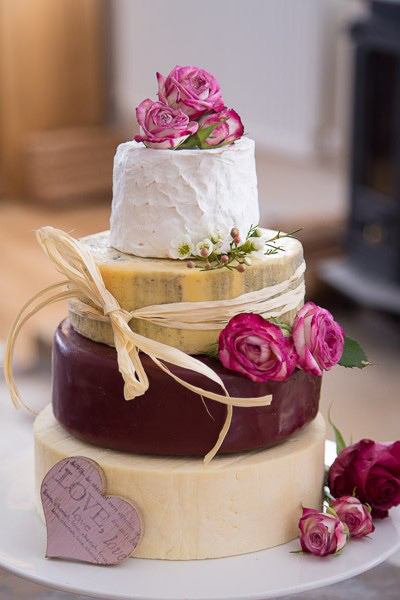 To accessorise your cake, the West Country Cheese Company also offers a range of cheese boards, tier separators, and other accessories, as well as chutneys and biscuits. 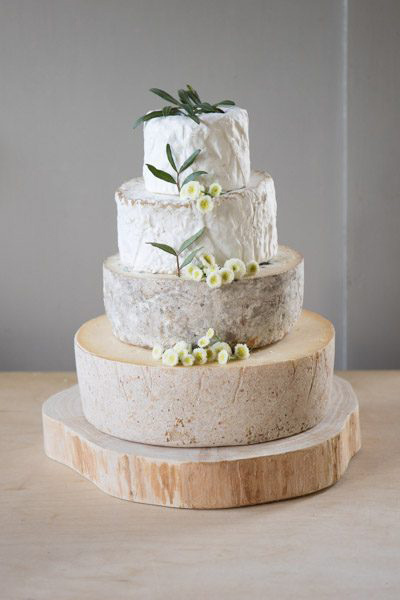 To learn more about ordering a cheese wedding cake from the West Country Cheese Company, get in touch via the contact buttons above or below this listing. 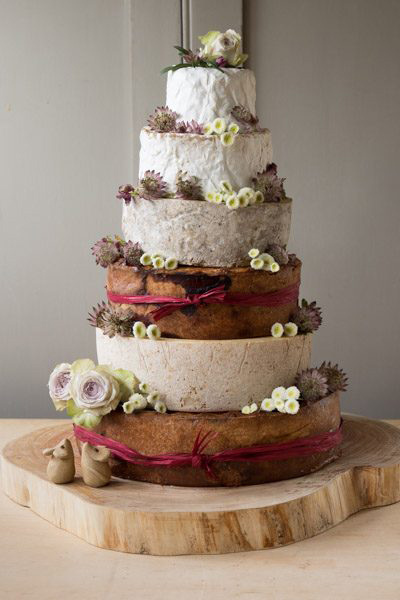 Just to say thank you so much – just back from the wedding where the cheese cake was an enormous success and garnered rave reviews! 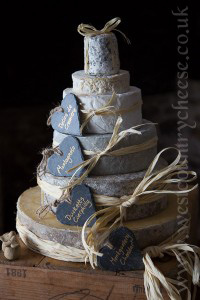 All the best and I shall be recommending West Country Cheese far and wide! 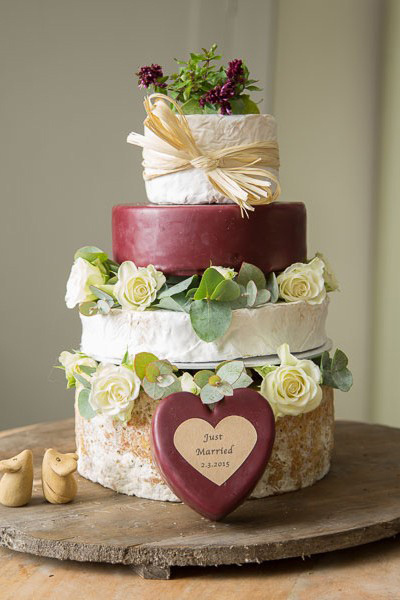 Euan and I would just like to say thank you so much to you and the team at West Country Cheese for our wedding cheese cake. It was delicious and a real hit with our guests. We appreciate your professionalism throughout the process and wish everyone at West Country Cheese all the best. 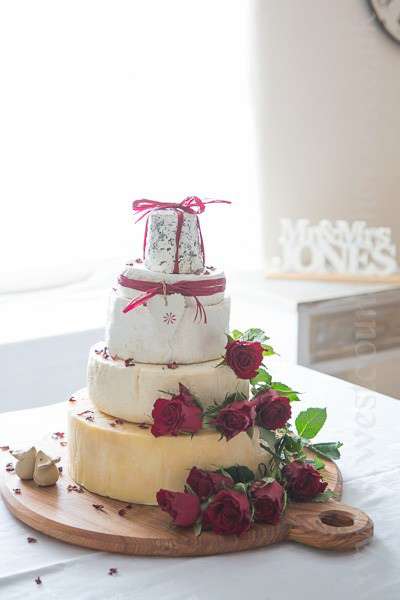 Just a quick email to say that the Wedding cheese cake was a huge success, looked fabulous and tasted even better!! Everyone loved it. Thanks for your help to organise it all. Let others know what you think of West Country Cheese by giving a star rating and a small review.